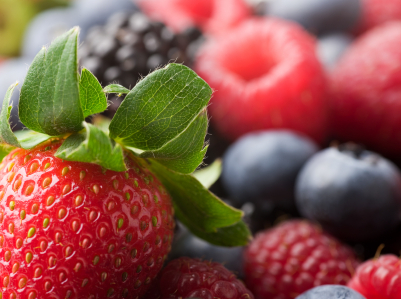 Have you heard of phytochemicals? If not, it’s time to pay some attention to this most natural and valuable element on earth. Phytochemicals help our bodies fight cancer and all kinds of illnesses. It is a natural element that can only be found from natural foods, like Isoflavones from beans, Lycopene from tomatoes, Allicin from garlic, Indoles from cabbages, and Catechins from green tea. In the past, nutritionists did not pay much attention to phytochemicals since they are neither minerals nor vitamins that are vital to maintaining the smooth operation of the human body. However, scientists have since discovered that these colorful natural chemicals provide excellent antioxidation capabilities. We all know that most illnesses (cancer included) as well as our aging process has a lot to do with oxidation, so phytochemicals provide the much needed and most effective natural remedies for our bodies. So instead of popping pills and supplements with unknown origins, concentration and doubtful manufacturing processes, getting phytochemicals from the world’s most natural fruits and vegetables is not only safe but also inexpensive. It may take time and energy to make it a ritual to go to the markets for fresh produce every other day, but it’s a rather small price and effort to pay when health is at stake. Where are these chemicals located in our fruits and vegetables? Well they are mostly found under the skin fiber, inside the seeds, pits, stones and stems. Ironically, these are the parts that we often discard when we prepare fruits and vegetables. Hence many of us fail to fully benefit from the fruits and vegetables just from the way we consume them. That’s how high-speed food processors come into play. Garlic. Garlic helps prevent a number of cancer formulations, has high anti-inflammatory effects, and protects the heart. However over-dosage has its side effects and hence the right dosage per day is roughly 0.125 grams of garlic for every 1 kg of body weight. A little goes a long way. Ginger. Ginger has Curcumin which helps with blood circulation, reduce cholesterol levels, and contains anti-inflammatory effects. Almond. Almonds have vitamins A, B17 or Amygdalin, and E, which are proven to prevent cancer and reduce cholesterol levels. Picking fresh almonds is key however as it oxidizes fairly quickly. Tomatoes. My refrigerator favorite. Lycopene can inhibit cancer cells and boost our natural killer cells. It is inexpensive, and simply delicious! Carrots. Another refrigerator favorite. It’s nicknamed “ginseng for the poor” because it contains over 490 types of phytochemicals. We all know that carrots are good for night blindness, coughing, high blood pressure as well as our liver. Beet Root. Before I never heard of beet root. I recall seeing it in salad bars in the school cafeteria when I used to study in the States years ago. It was cooked and has that amazing red color that is overpowering. I seldom see it in local markets here at home and almost never heard of anyone incorporating beet root into their diets. In fact, beet root is considered as the equivalent of Chinese Lingzhi in Europe. You can just begin to imagine the incredible health value of beet root from that analogy. They are a rich source of potent antioxidants and nutrients, including magnesium, sodium, potassium and vitamin C, and betaine, which is important for cardiovascular health. It functions by acting with other nutrients to reduce the concentration of homocysteine, a homologue of the naturally occurring amino acid cysteine, which can be harmful to blood vessels and thus contribute to the development of heart disease, stroke, and peripheral vascular disease. Additionally, several preliminary studies on both rats and humans have shown betaine may protect against liver disease, particularly the build up of fatty deposits in the liver caused by alcohol abuse, protein deficiency, or diabetes, among other causes. The nutrient also helps individuals with hypochlorhydria, a condition causing abnormally low levels of stomach acid, by increasing stomach acidity. Beetroot juice has been shown to lower blood pressure and thus help prevent cardiovascular problems. Now, I always make sure I have enough beet root in my fridge. It’s definitely way cheaper than Lingzhi! Asparagus. Particularly beneficial for women who are preparing for pregnancy. It has high concentration of vitamins A, C, E, as well as the capability to fight many types of cancer. Celery. Amazing food to lower blood pressure! Blueberries. United States Department of Agriculture (USDA) advises that blueberries are good for cancer prevention and anti-aging. I remember it used to be quite pricey in this neck of the woods since they used to be imported from United States, but lately I see a lot of cheaper options originated from Chile. Not bad. Cherries. Prevents cancer, heart disease, Parkinson’s disease, aging, inflammation, eye fatigue, insomnia…the list goes on. Strawberries. Great fruit to fight cancer, but it’s not in my daily diet since it is still relatively pricey. 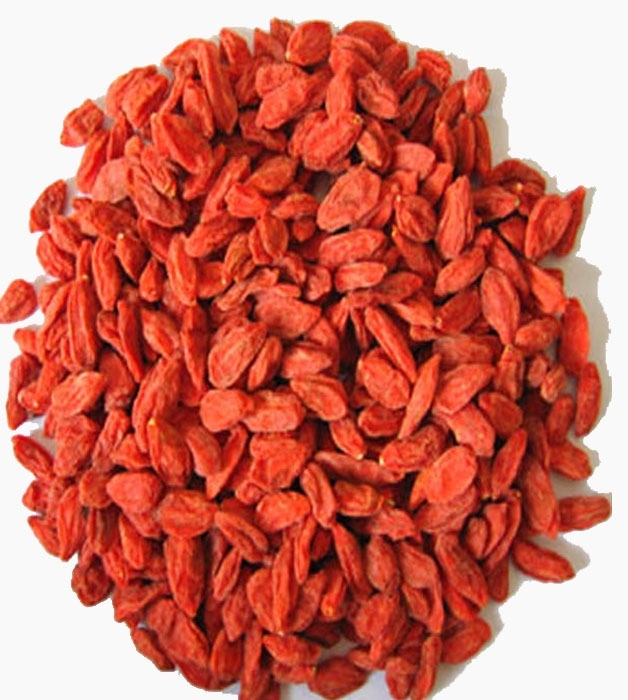 Wolfberry, or Lycium Barbarum. We almost always see them in dried reddish form and we Chinese always put them in soups and desserts. When Chinese Emperor Qin (221 BC) ordered his people to look for the “prescription of eternal life”, the few rumored prescriptions that are countered for today ALL contain wolfberries as a critical ingredient. It’s good for our eyes, skin, immune system, liver and kidney. I don’t think it will give me eternal life (and not that I ever want that really), but I won’t say no to healthier skin! Cranberries. Known for its effect on urinary infections. Relatively more rare and expensive here, and imported concentrated juices can be rather costly too. Linseed or Flax seed. Can be found in most organic health food stores. It contains Omega-3, Omega-6 and Omega-9. It prevents heart disease and cancer, lowers cholesterol, blood sugar, degradation of the brain, and prevents hair loss, sight degradation and dry skin. I have not yet tried this, and it just seems that I’ve been missing out. Sesame. We Chinese are known to prepare creamy black sesame puree as desserts, though in the last decade or two its role on the dining table has been largely replaced by ice cream, fancy cakes and puddings. It does incredible wonders to our skin and helps delay the aging process. There you have it. Don’t over-stress yourself to find all 15, instead just go for the ones that are easy to get, in season and affordable. Nevertheless most of these foods are low-priced relative to the so-called bottled supplements in health food stores, without the unknown side effects and artificial addictives. If taking these foods can improve your health and energy PLUS offering the sense of fullness to your stomach, I really don’t see how one won’t be able to lose weight while feeling great, at the same time.